For some people music is secondary. For me, it’s just as essential as a sports bra, so that’s why it’s number one on the list. For an inspiring workout mix I suggest you check out Spring Moves. Don’t worry, I’m not suggesting it just because it has Spring in its name. It’s a pretty innovative app. The Spring app allows users to walk, run or bike in sync with music. This Rhythm Based Movement is awesome because it helps you maximize your workout. According to the app’s creators, “When our bodies synchronize movement to music, we think we’re working less hard. Studies have found that when walkers and runners match their movement to music, endurance is increased by up to 15%. Simply put, you’ll feel happier and less tired during your workout.” Spring app has pre-made playlists and also gives you the ability to customize your workout music. Find out more about Spring Moves here. Working out in the spring can sometimes be confusing, if you workout in the morning, it starts out cool, but quickly warms up. If you workout in the evening it’s on the warmer side when you start working out but by the end of your workout, the temperatures quickly decrease. And there’s the rain. There’s nothing like not being able to get your run in because of the rain or getting trapped in the rain mid-workout. Not to fear, I’ve found some jackets that are ideal for outdoor spring workouts. These items will protect you from the rain, are warm but breathable and easily removable when temperatures rise, and they’re cute. On the top is the New Balance HOCR Essentials Plus 90s Windbreaker. 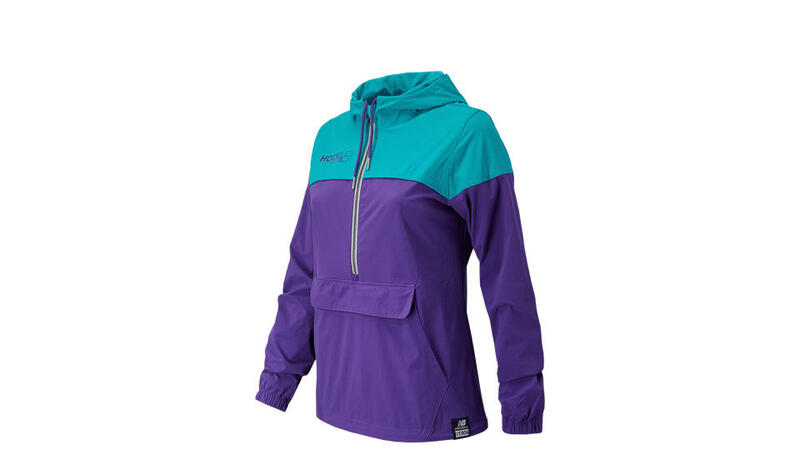 It’s colorful, wind and water-resistant, lightweight and ON SALE. Cop you one here. 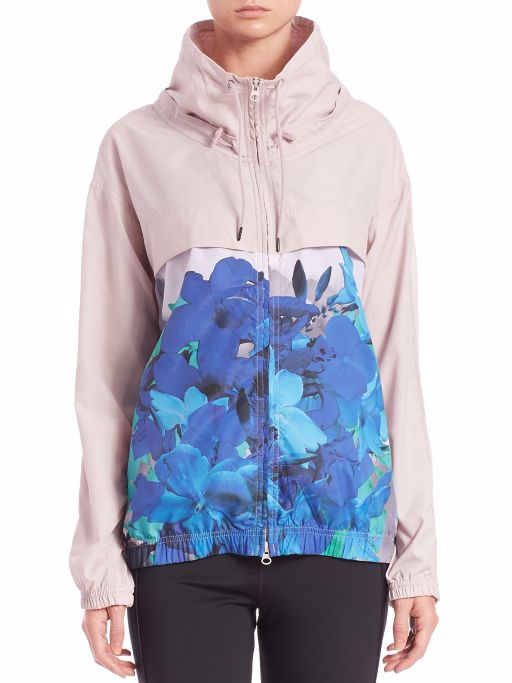 For the fashionista, fit lady check out the adidas by Stella McCartney Run Blossom Jacket. It’s pricier than the New Balance option, but completely winning in the style department. If you’re down for a splurge, pick it up here. If you’ve got a nice colorful jacket to run in, make sure you have some shoes to compliment the jacket. There are a million-and-one shoes to choose from, but for your spring session, I’d suggest going for something that suits your primary type of workout and is waterproof and comfortable. And of course, no one wants to be the girl at the track with the hideous shoes, so I suggest they be cute too. Here are two that I like because they’re lightweight, somehow flexible AND sturdy, waterproof and easy on the eyes. 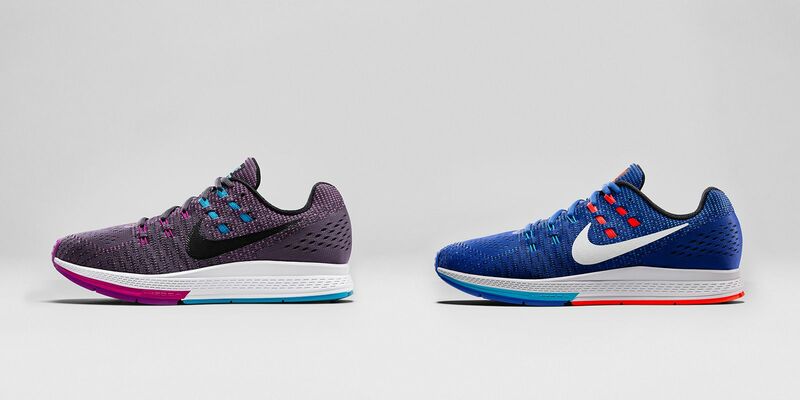 The first is the Nike Air Zoom Structure 19 Flash. It’s well cushioned, sturdy and water-repellant which is perfect for outdoor runs and the ever-so-popular and ever-so-painful HIIT workouts. You can also design the shoe to fit your color preferences. If you’re interested, click here. 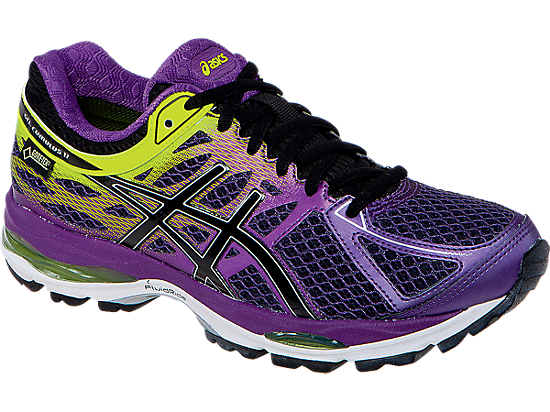 If you live someplace where winter is still showing itself strong, check out the Asics Gel-Cumulus 17 G-TX. It has excellent tread for icy, slippery conditions and is waterproof and breathable. It also comes in a great spring color, so you can feel like your one with warmer temperatures, even if there’s snow on the ground. If you like them, you can spend your money here. When you head outside for your spring workout, you might run, but you also might want to mix things up. If you’re into mixing things up, check out the Monkii Bars. Monkii Bars is a portable workout system that allows you to engage in bodyweight training virtually anywhere. They allow you to get an upper body, core and leg workout whether you decide to stay indoors or venture outside. The lightweight, compactable, batons are changing the way and where you workout. If I were you, I’d click here and learn more about them. I hope this gives you some motivation to workout that summertime fine body in the open air. Be sure to follow GladiatHers on Instagram and Twitter and like us on Facebook!